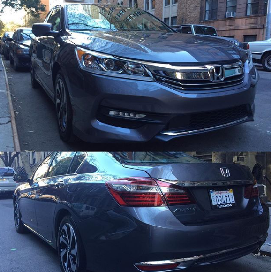 I recently had the opportunity to test drive the 2016 Honda Accord and was impressed by many advances to its comfort and technology, including an improved ride and infotainment system. But while the car was awesome to drive, what really enhanced my experience was its inclusion of Apple CarPlay. 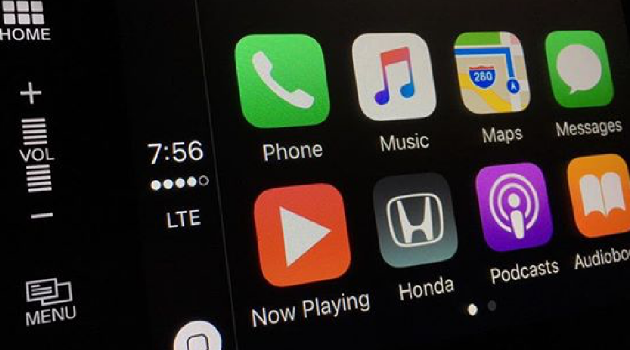 I am a huge Apple fan, so when I found out that Apple was making an integration system for automobiles, I was even more excited to test it out! 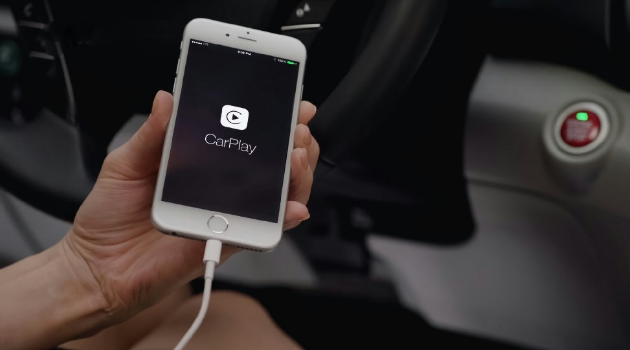 Every major car manufacturer has plans to integrate Apple CarPlay into their vehicles and many already offer compatibility with at least one or two models. Apple advertises its new integration system as a “smarter, safer way to use your iPhone in the car.” Considering the growing realities of distracted driving in today’s world, is an important consideration for drivers of all ages. Apple’s idea is to keep your hands where they belong, on the wheel, and your eyes on the road. 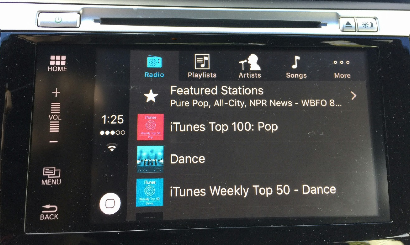 For the most part, Apple CarPlay achieves that aim. I love that it is comfortable to use because it’s so intuitive. The home screen is very similar to the one on an iPhone. The infotainment home screen shows the standard apps such as phone, messages, maps, and music. It also shows compatible apps, such as iHeart Radio, Pandora, and many more. It even shows emojis! Making phone calls was just as easy as using my iphone. I could press and hold the voice button on the steering wheel, which activated Siri, and from there I could call anyone. I also noticed how easy it was to use Siri through the integration system. I sent text messages without being distracted by a cell phone because everything I did was through Siri’s voice activation. The Music integration looks and navigates exactly the same way as it does on an iPhone. Also, the Maps app is very easy to use. It is the same Maps app that comes with each iPhone (unfortunately it’s not compatible with Google Maps). To set a destination, one can simply say “Direct me to…” (state location). One thing that did irritate me about Apple CarPlay is that I had to have the phone plugged into the car through the USB port. It would be awesome if in the future this could be achieved through Bluetooth. Also, I didn’t like the fact that I couldn’t use the camera without the music automatically pausing. But those are simple criticisms I can live with. Overall, I love the Apple CarPlay integration. It was as easy and as comfortable as using my own iphone.